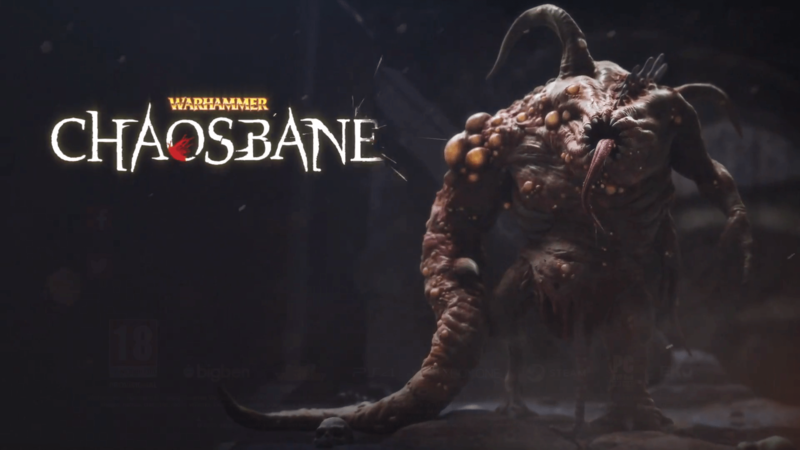 Warhammer : Chaosbane is a hack’n slash game with a strong focus on coop experience, set in the famous Games Workshop Fantasy licence . 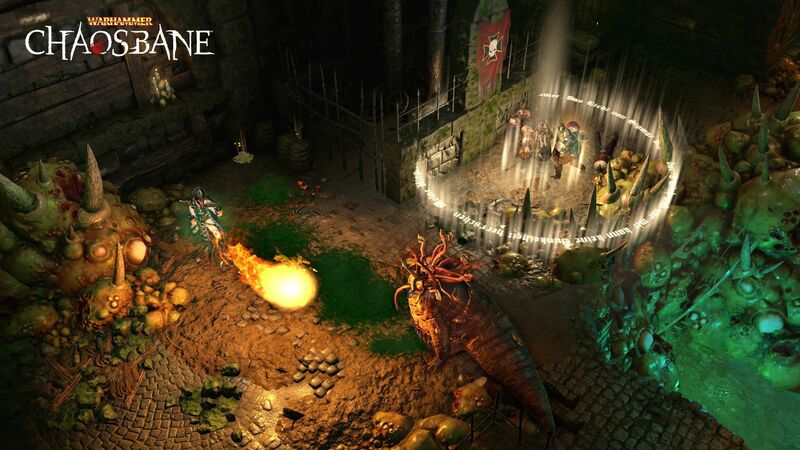 In Chaosbane, players embodies four heroes from different races in a grim dark fantasy adventure against the evil forces of Chaos through the Old World. Each of this characters comes with its own set of skills and specificities to offer many gameplay variations. This diversity is both in the skills of each characters and their gears, they have their own pieces of equipement, skills and patron God, depending of their race and background. Konrad, the imperial soldier is designed to be the front line. He is not really a tank but his control and support abilities make him the most versatile character in a team. Elontir, the high-elf mage is the massive damage dealer of the group. Very vulnerable in close combat, he is able to unleash devastating areas of damage on the battlefield, ravaging entire hordes of ennemies. Bragi, the dwarf, comes as one of the most iconic element of the Warhammer universe : Slayers. 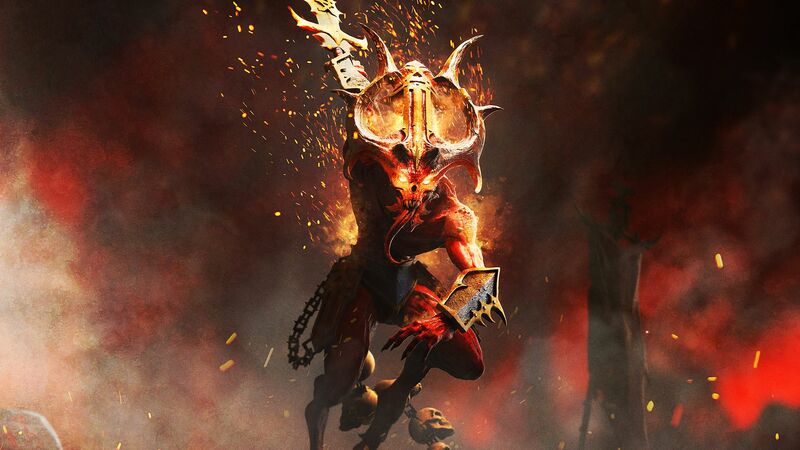 His main focus is dealing a huge amount of damage in single combat, chasing the most powerful foes in sight and becoming stronger as the fight keeps on. Elessa, as a wood-elf ranger, is a expert in ambushes and traps. The main focus of this character is guerilla tactics, attacking and immediatly moving out of reach. 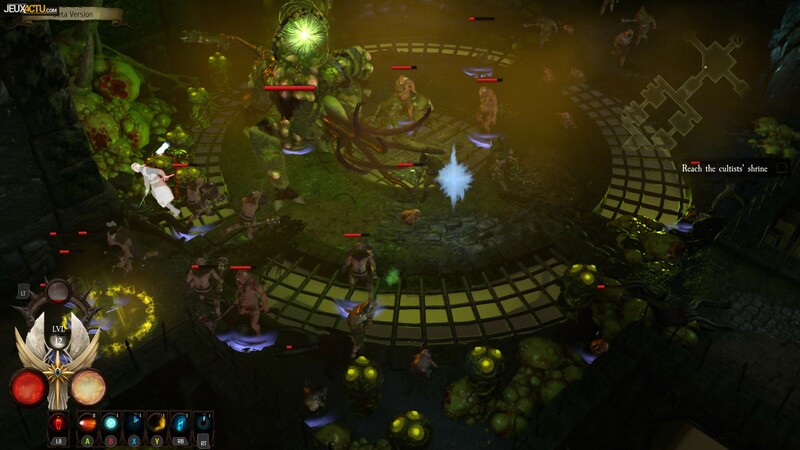 The illusive huntress is designed for players who loves mobility, traps and pets. The game is planned for early summer 2019, I hope players will appreciate it as much as I enjoyed working on it! From writing gameplay documents to XML scripting, I was lucky to be involved in all gameplay elements of the game. This project was one of the most enriching experience in my young game designer career. 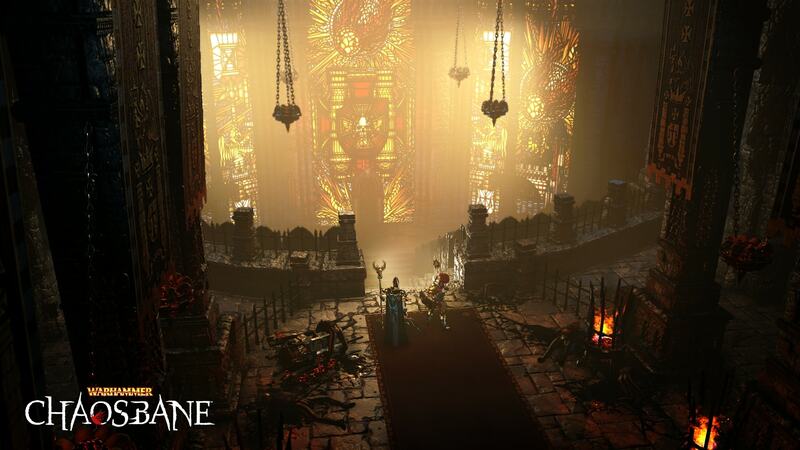 At some point I was also in touch with the art team to coordinate our ideas and to help them with the lore of Warhammer, about which I had a good knowledge. On a side note, its a thing that I like a lot in this industry. Being able to communicate and trades idea with the art team (and other team members) is always a thing that gives a lot of experience and fresh ideas. More importantly, it is a good way to have a different point of view on your work. As a miniature hobbyist since I was a teen, working with the Games Workshop licence was a great opportunity. It was also a very important professionnal experience, with a lot of learning on how to work with a precise intelectual property and all its obligations. 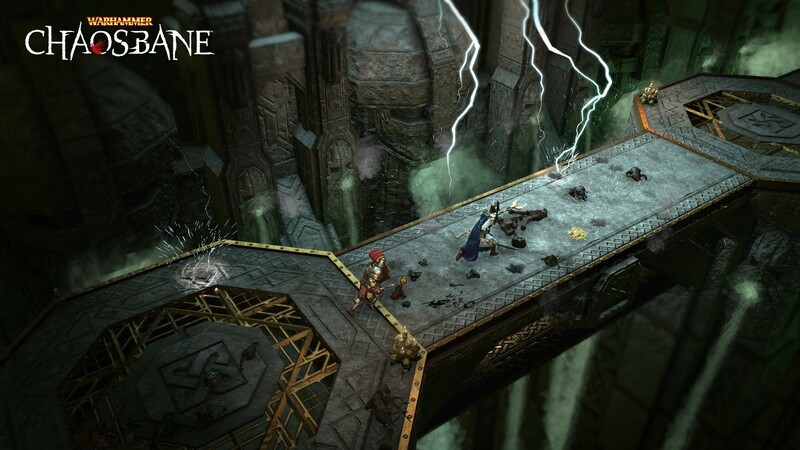 From a game design point of view it was a constant challenge to create interesting features and respecting the lore at the same time.